The Scion brand is relatively new when we talk about automakers being that it started in 2003. 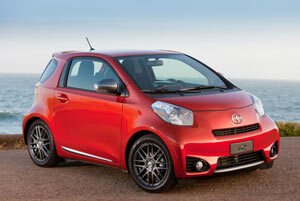 The Scion is actually a division of Toyota that is targeted to the younger car buyer. The line was originally launched in California in 2003 and rolled out to rest of the country in 2004 and then Canada in 2010. The Scion was supposed to be a hip, young brand that was “Pure Priced” because that’s what younger car buyers wanted. When you look at the Scion brochures you will see the target customer throughout the literature. Toyota needed a way to attract the younger car buyer and the Toyota brand wasn’t doing that so the Scion brand was born. The plan was to replace or refresh the models on a regular basis to keep the Scion brand fresh. Scion was “Pure Priced” which means that all prices of vehicles, accessories, and services were posted online and in the dealership. No surprises and no secrets, every transaction was transparent and Toyota enforced that pricing policy. The Scion brochures stressed the ability to personalize your Scion and keep from looking like everyone else’s vehicle. 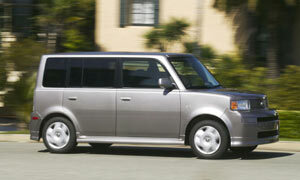 The first Scion Models were the xA that was a 4-door hatchback and the xB, which resembled a smaller SUV type vehicle. Both cars were well-accepted and sold well to all age ranges, not just the younger car buyer. The Scion brochures featured better sound systems and options for body kits, sub-woofers and exhaust kits. In 2005 the Scion tC was introduced, a 2 door coupe with a sporty look with an economy car price. In 2008 the Scion xD was built that took the place of the xA and in 2012 Scion brought out the iQ mini city car and the sporty FR-S coupe. Scions typically come in only one trim level. For 2016 Scion introduced 2 models the iA and the iM, a small sedan and a slightly larger sedan with hatchback. Scion sales have gone up and down in the past few years and in August 2016 Toyota decided it was time to drop the line and put all the vehicles under the Toyota umbrella for 2017. We have the Scion brochures up to 2016, but after that you will find new sales literature on the Toyota pages.